Researchers at the Eli and Edythe Broad Center of Regenerative Medicine and Stem Cell Research at UCLA have published two studies demonstrating that the classic type of human embryonic stem cells most commonly used in research can pass along a chromosomal instability to tissue-specific cells. This instability could potentially result in problems for experiments and therapeutic use of tissue-specific cells. However, the research team, led by Kathrin Plath, also found a way to correct the instability by resetting the stem cells from a later stage of development to an earlier stage of development. This fundamental discovery could have great impact on the creation of healthy tissues to cure disease. In general, human embryonic stem cells are able to create any tissue-specific cell in the body, such as skin, bone, blood or nervous system cells, through a process called “differentiation.” But not all human embryonic stem cells are the same. “Naive” stem cells are early-stage embryonic stem cells and “primed” stem cells are later-stage embryonic stem cells; scientists are investigating how this difference in developmental stages may affect the creation of tissue-specific cells during differentiation. Researchers have hypothesized that one of the differences between primed and naive human embryonic stem cells could be the state of the X chromosomes within the cell. All female humans have two X chromosomes in each cell of their body. Early in embryonic development, both X chromosomes are active. However, during normal human development, every embryonic stem cell inactivates one of the X chromosomes by coating it with molecules that keep all the genes on that chromosome inactivated. As a result, tissue-specific female cells only use one of the X chromosomes. Previous literature on the X chromosomes of human embryonic stem cells has relied on primed cells. Scientists have found that female primed cells often have one X chromosome inactivated — like tissue-specific cells rather than the cells found in the early human embryo. The inactivation is “unstable,” so some genes that are meant to be coated with molecules are uncovered, making them active. In the new work, the researchers first studied tissue-specific cells that had been created from primed embryonic stem cells with different X chromosome states. In each case, they found the tissue-specific cells retained the X chromosome properties of the original stem cells — giving the tissue-specific cells unstable inactivation, for instance, if the primed stem cells had unstable inactivation. The team then turned to naive embryonic stem cells, which had two active X chromosomes, like cells of the early human embryo. The researchers went on to show that by using methods that turned human embryonic stem cells from a primed to a naive state, the X chromosomes were reset to the typical, stable, active state seen in early embryos. When tissue-specific cells were made from these naive stem cells, they properly inactivated one of their two X chromosomes, similar to what happens in normal human development. Scientists will now be able to implement the methods used for naive cells to create embryonic stem cells with two active X chromosomes so they have a starting place to understand how human X inactivation occurs. 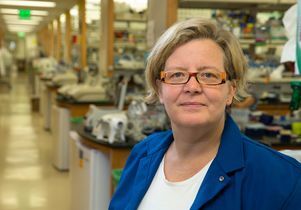 Plath, a UCLA professor of biological chemistry, said there are many questions about this fundamental process of mammalian development. Additionally, since unstable X chromosome inactivation has been linked to cancers, the results could have implications for using primed embryonic stem cells to create healthy tissues to cure disease. In addition to Plath, the authors of the Cell Stem Cell study are Anna Sahakyan, Rachel Kim, Constantinos Chronis, Shan Sabri, Giancarlo Bonora, Edward Kuoy, Justin Langerman and Amander Clark of UCLA; and Thorold Theunissen and Rudolf Jaenisch of the Whitehead Institute. The authors of the Cell Reports study, in addition to Plath, are Bonora, Clark, Kim, Chronis, Sahakyan, Langerman, Sanjeet Patel, Sorel Fitz-Gibbon, Liudmilla Rubbi, Rhys Skelton, Reza Ardehali, Matteo Pellegrini and William Lowry, all of UCLA. The studies were published in the journals Cell Stem Cell and Cell Reports. The two studies were funded by grants from the National Institutes of Health (HD079546, P01 GM099134, R01-CA084198, 2R01MH104610), California Institute for Regenerative Medicine (RB-06133, RB3-05080, TG2-01169), the Philip Whitcome Fellowship Program, the Mangasar M. Mangasarian Scholarship, the Ruth L. Kirschstein NRSA F31 Fellowship (GM115122), the UCLA Broad Stem Cell Research Center–Rose Hills foundation Training Award, a Leukemia and Lymphoma Research Visiting Fellowship (10040), a QCB Collaboratory Fellowship, the David Geffen School of Medicine, the Iris Cantor–UCLA Women’s Health Center (CTSI UL1TR000124), the UCLA Dissertation Year Fellowship, the UCLA Quantitative and Computational Biosciences Postdoctoral Fellowship, and a Sir Henry Wellcome Postdoctoral Fellowship (098889/Z/12/Z).